Congratulations to the Graduating Class. 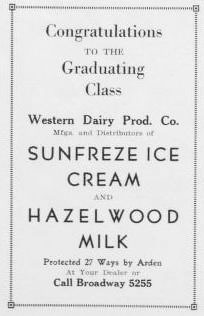 Mfgs and Distributors of Sunfreze ice cream and Hazelwood milk. Protected 27 Ways by Arden. At Your Dealer or call Broadway 5255.